GMO apples are now coming to America, thanks to a recent decision by the US Department of Agriculture’s Animal and Plant Health Inspection Service (APHIS). Those federal regulators decided to approve two genetically engineered apple varieties — Arctic Granny and Arctic Golden — for sale as food for humans, in the US. The two new GMO apple varieties are resistant to browning — thereby intending to result in the phasing out of the use of citric acid, which is currently widely used for browning-resistance. 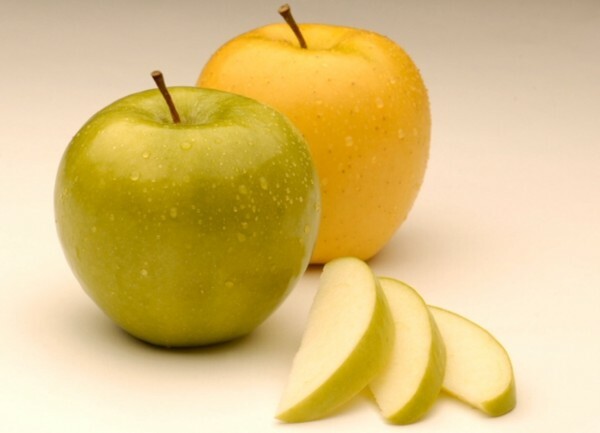 The two genetically modified apple varieties were created by the Canadian biotech company Okanagan Specialty Fruits. According to Carter, the current plan is for the “Arctic” Apple varieties to be available to consumers starting in late 2016 — in small quantities. It’ll reportedly be several years before they’re widely available. In an effort to sidestep many of the common issues with, and criticism of, GMO technology and food, the company has apparently only used tree fruit genes the creation of the apples — no genetics lifted straight out of a jellyfish, bacterium, or chimpanzee genome here, just tree fruit genes. Which were inserted into the genome of the new apple varieties via the rather expensive means used in genetic engineering. That said, this is all coming to us straight from the company’s mouth, the specifics of the development process aren’t publicly available. Still, the new Okanagan apples have drawn opposition. The Organic Consumers Association petitioned the USDA to deny approval. The group says the genetic changes that prevent browning could be harmful to human health. As well, Ronnie Cummins, director of the Organic Consumers Association (OCA), said apples are typically sprayed with dozens of different pesticides and the genetic tinkering will allow for more pesticide treatment. The OCA will be pressuring food companies and retail outlets not to make use of the apples. Give the amount of money and time that must have gone into developing these — for nothing other than an aesthetic acquiesce to the modern consumer obsession with picture-perfect fruits and vegetables — I can’t help but scratch my head. All of that money and time on nothing but a change of appearance? Who does this make sense to?